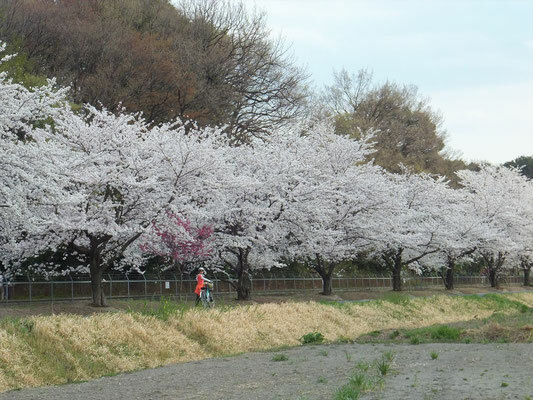 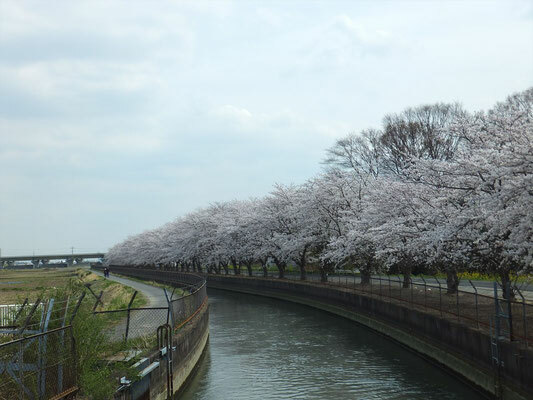 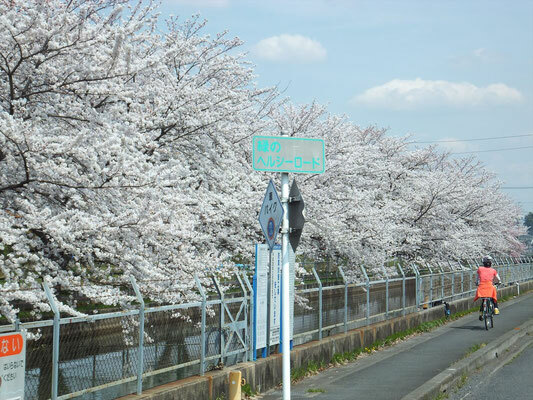 On April 2nd, Sakura trees along Minuma Waterway were in full blossom. 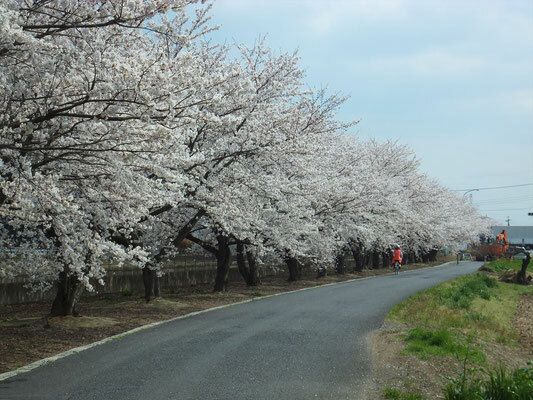 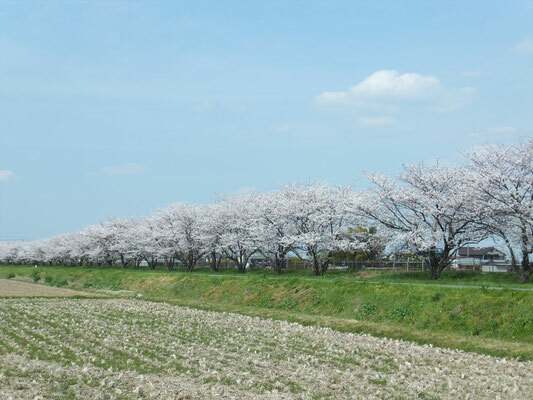 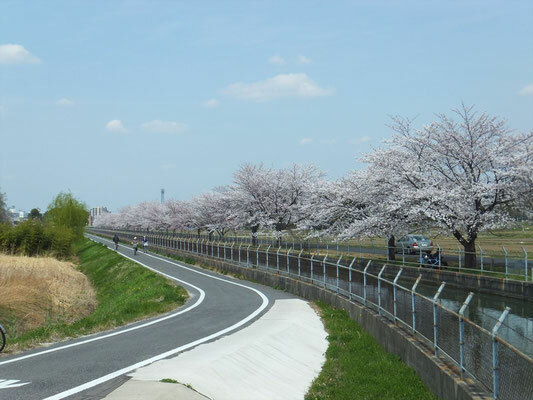 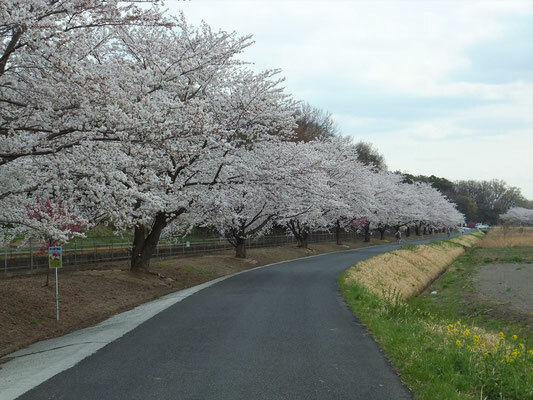 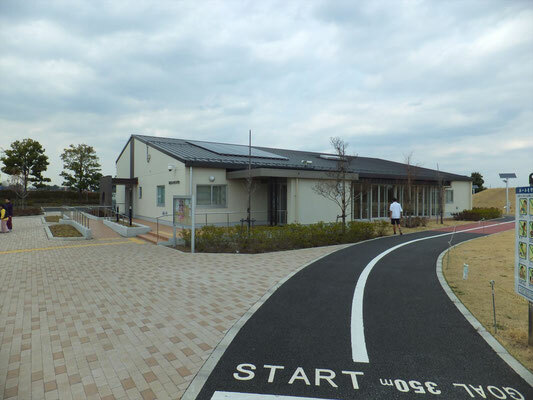 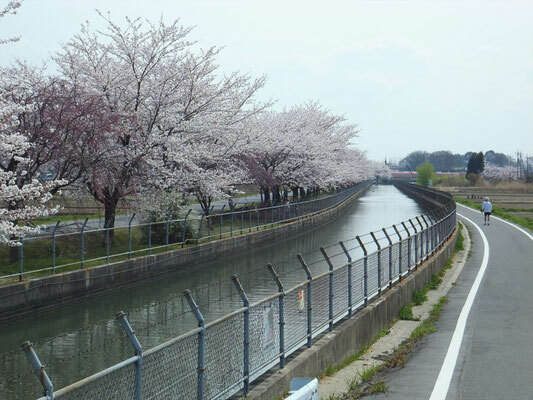 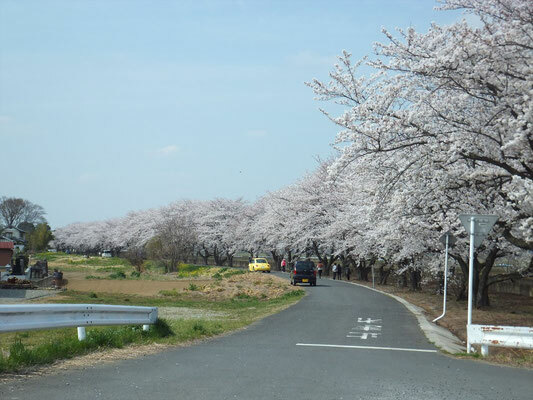 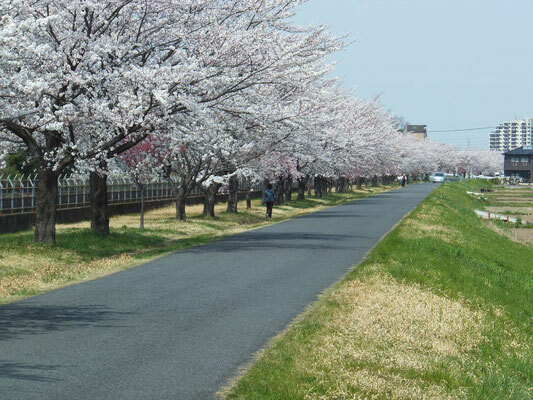 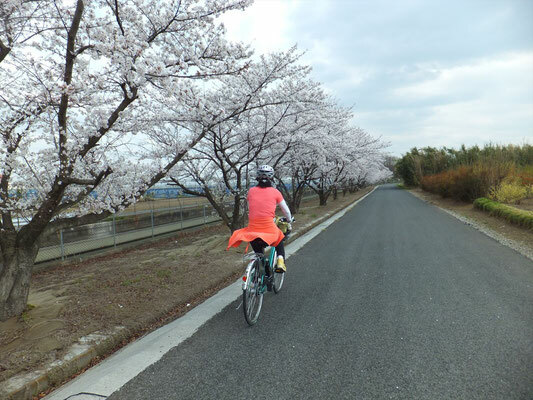 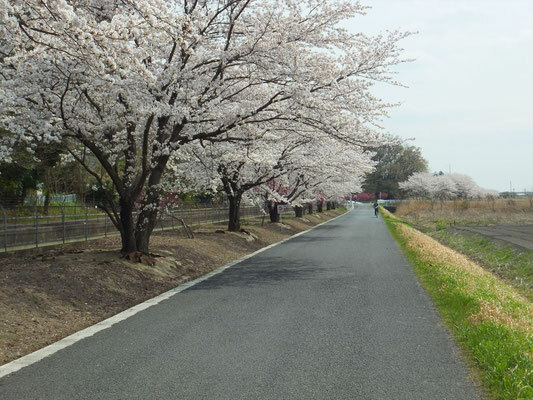 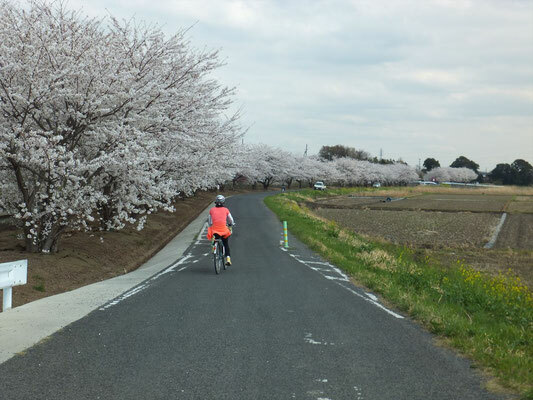 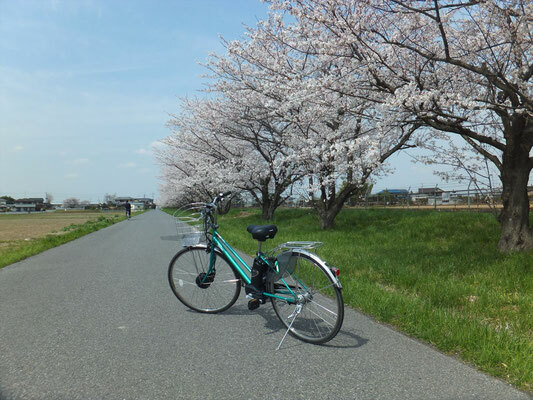 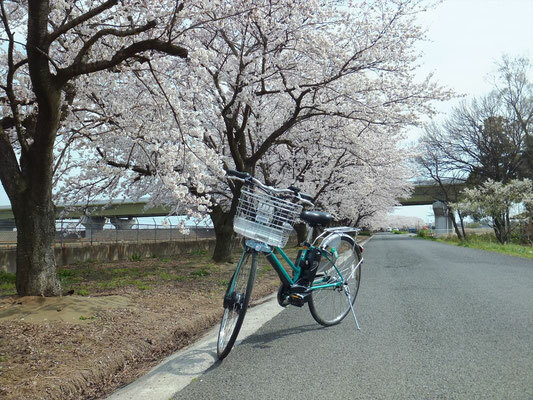 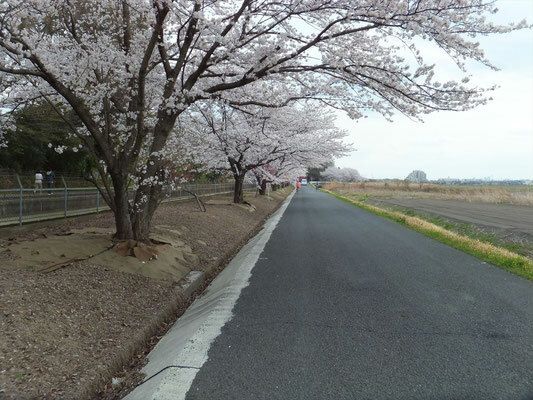 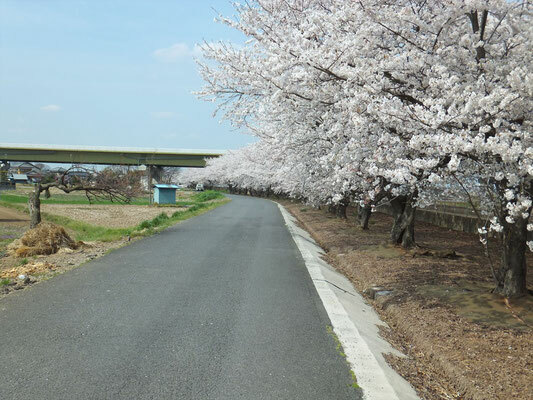 There found several sakura-viewing parties along 12 kilometer-long bike road, but, the bike road was just in tranquil silence except when sometimes spring birds sang in the trees and passing cars for viewing sakura made engine noises. 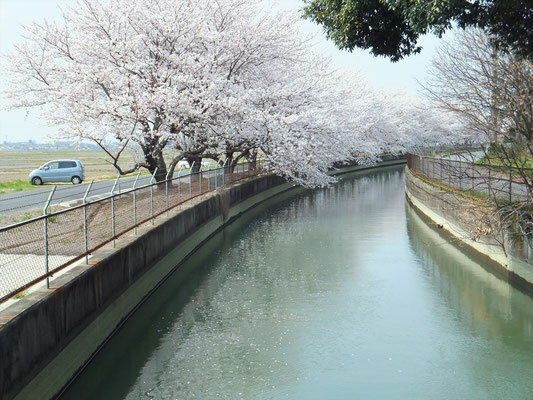 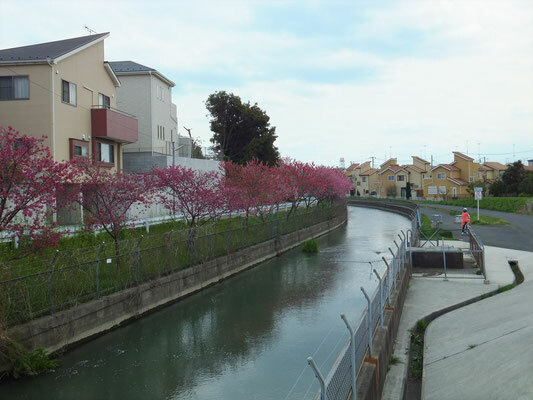 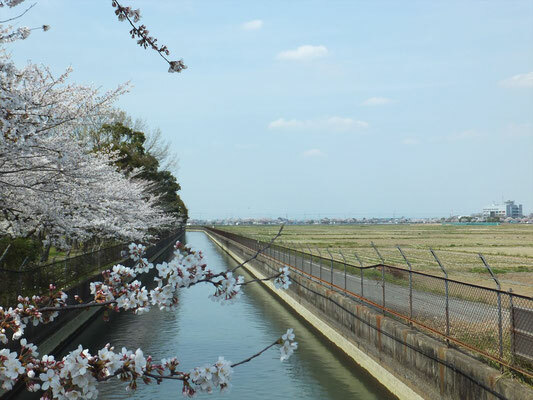 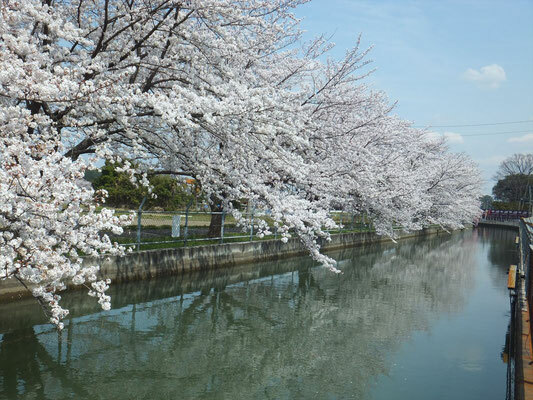 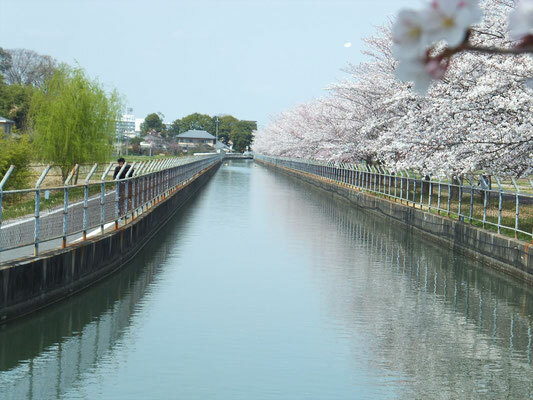 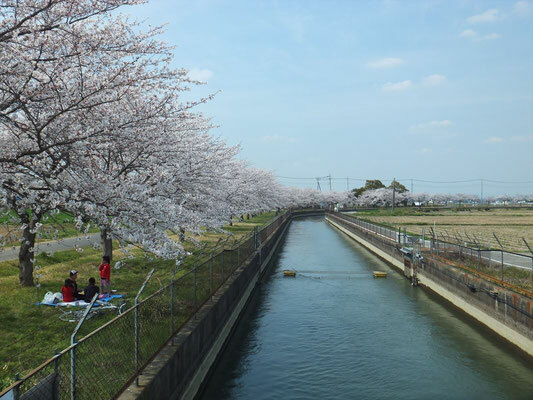 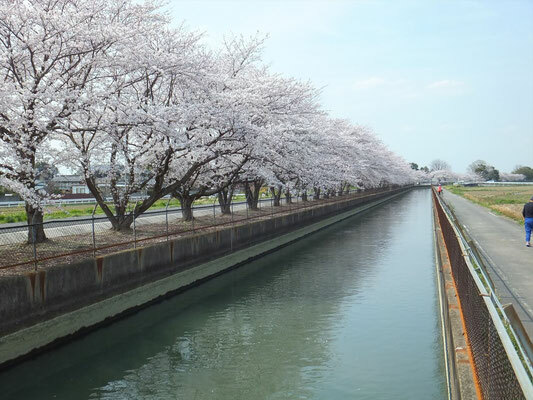 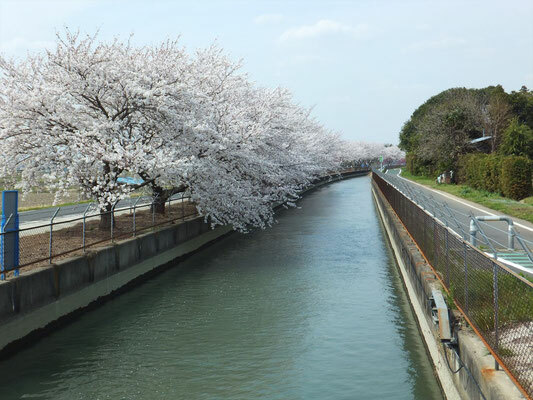 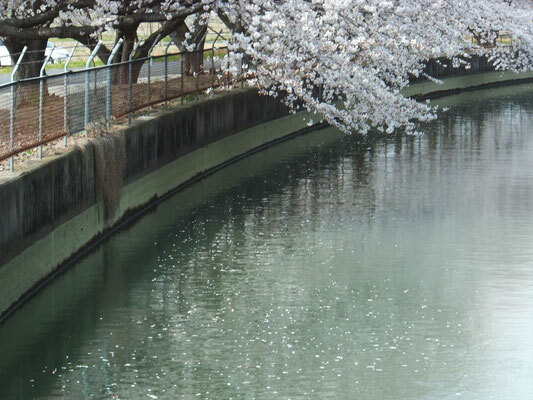 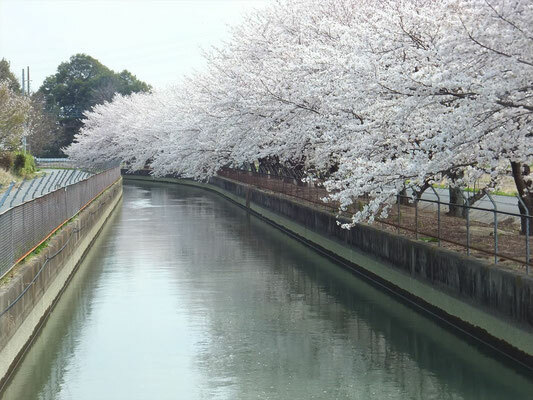 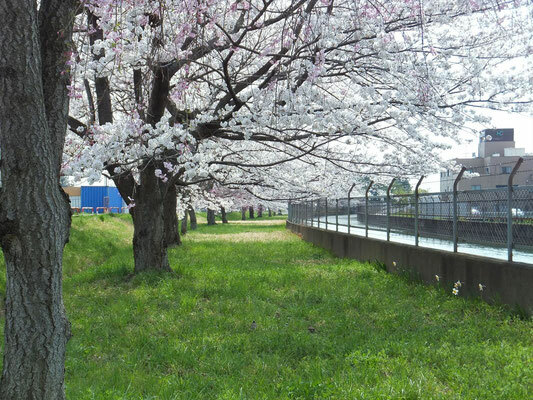 Sakura blossom petals started flowing down in Mimuwa Waterway. 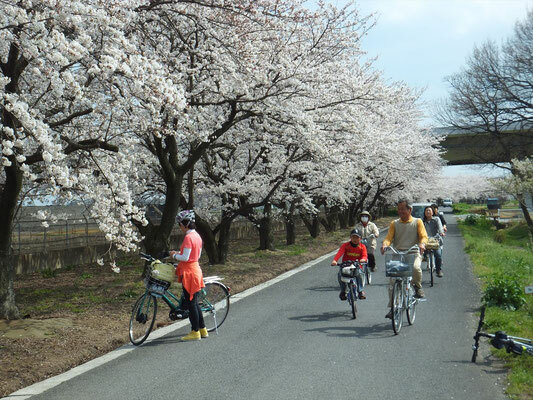 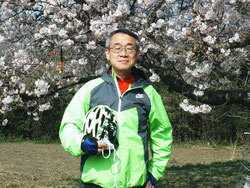 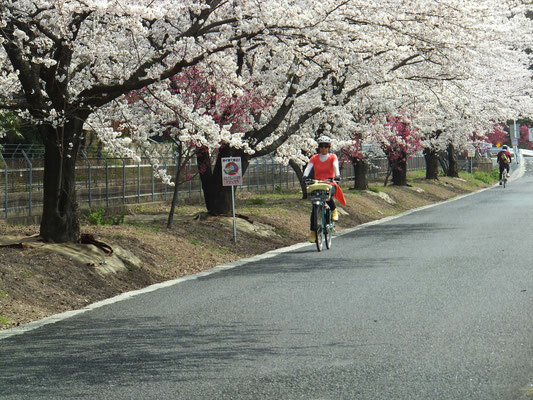 This weekend might be the last weekend to enjoy Sakura-viewing bike ride.